Manipulated Students Strike – Where are our leaders? The media delights in splitting us into two warring factions and turning our lives into spectator sport. Our so-called ‘leaders’ appear powerless to develop a strong enough narrative to bring us all together, as a united winning team. It is hard to find examples of leadership to present to our young people today and that’s a question they keep asking me. I did find a surprising example, the other day, and I was reminded of it when I noticed that our students are currently being trained on ‘how to go on strike’. 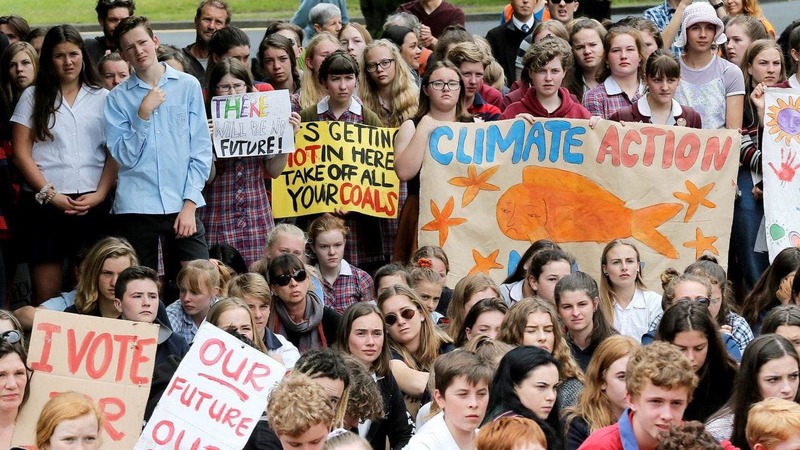 (The West Australian; 25th Feb. 2019 – Militant unions teaching WA pupils how to strike for climate change). France had the same problem recently and my surprise example of leadership is President Macron. When he was confronted with a placard-bearing youth, shouting obscenities, do you know what he said to that youth? Macron was explicitly making the case that hierarchies matter, that achievements must be recognised, that all opinions are not of equal worth. Liberte, ègalitè, fraternite do not imply that nobody deserves respect. They imply that respect must be earned, and once earned, acknowledged. Macron posted the clip on his website, with the message that ‘respect is a minimum expectation in France’. President Macron was not exhibiting populism; that was leadership. This emphasis on respect is unfashionable, especially here in Australia and especially from a politician. It appeared to me that President Macron may have attended one of Dr Jordan Peterson’s (Canadian psychologist) lectures where he introduces some common-sense in the form of good old-fashioned advice about personal responsibility and self-reliance. Or, President Macron may have been reading the recent book The Coddling of the American Mind; how good intentions and bad ideas are setting up a generation for failure ― Jonathan Haidt and Greg Lukianoff. Our younger generation waits patiently for some local examples of leadership to emerge and inspire them. You will be lucky to count them on your fingers.